New paper: Local authorities need to meet future challenges with their “affairs” in order. I have, together with Desislava Kalcheva, written a paper about creditworthiness of local authorities and the importance of keeping a good financial standing even in times when borrowing is not necessary. The title of the paper is Local authorities need to meet future challenges with their “affairs” in order – What is creditworthiness and how do municipalities achieve it? And, you can find the paper here. Kommentarer inaktiverade för New paper: Local authorities need to meet future challenges with their “affairs” in order. I am proud to be appointed as a member of the City Finance Lab Committee. City Finance Lab is Europe’s first dedicated platform focusing on the development of innovative financial solutions that increase investment in low-carbon, resilient and sustainable urban projects. City Finance Labis a joint venture between EIT Climate-KIC and South Pole. Supporting partners are FMDV, Global Infrastructure Basel, Imperial College and CDP. 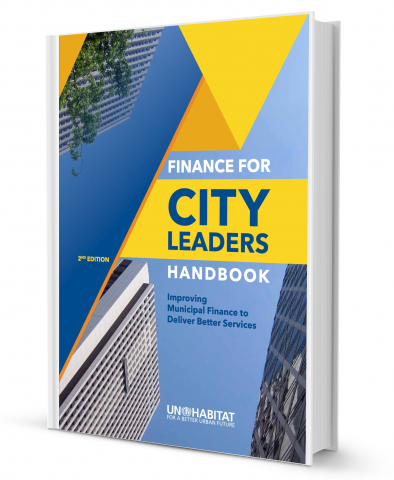 City Finance Lab has now launched its first call for ideas for “cutting edge climate finance solutions for cities. Selected ideas will be announced in early September and will receive guidance to develop and improve their proposals from city finance experts at leading public, private and philanthropic organisations”. 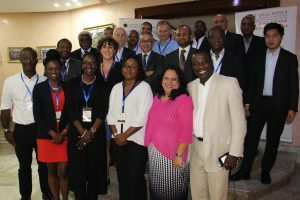 I participated in a workshop in Rabat, Morocco, last week (30-31 October) organized by United Cities and Local Governments of Africa (UCLG-Africa). The object of this event was to discuss a roadmap for the process of creating an African Cities Development Fund. This fund should have the aim to raise capital in order to finance, through lending, investments in African cities. United Cities and Local Governments of Africa (UCLG Africa) (www.AfriqueLocale.org/en) organized a two-day workshop on the establishment of the African Cities Development Fund (FODEVA), October 30-31, 2017 at the Hotel Rabat in Morocco. 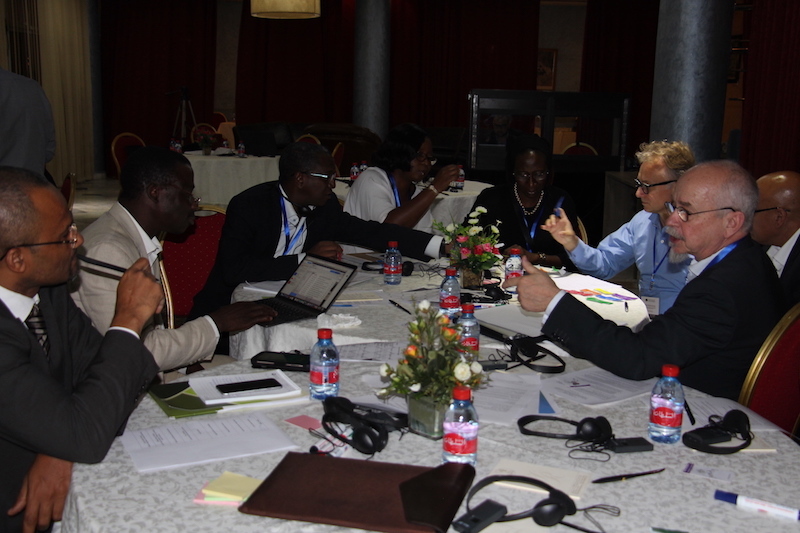 The workshop proceeded work that was carried out after the conference, “Funding African cities: agenda, alliances and solutions,” which was held in Marrakech, Morocco, in November 2014. 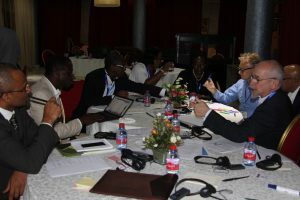 At the conference, members of UCLG Africa agreed to establish a financial vehicle dedicated to the funding of African cities, termed the African Cities Development Fund (FODEVA). The Fund aims to enable cities to issue bonds on the national and international capital markets. The workshop brought together twenty top level experts including specialists of fundraising on the financial markets; officials of development banks, funds or development banks dedicated to local governments; asset managers in international private banks; officials of rating agencies; and representatives of national and local administrations. There is a pressing need to set up a specialized vehicle for fundraising and access to funding in favor of African local governments. This vehicle will be named the African Cities Development Fund. The African Cities Development Fund will have a dual role; to sell the destination of African local governments to investors; and to prepare the capacity for absorption and debt management of these local governments. The African Cities Development Fund should enable local governments, or national institutions specializing in granting loans to the local governments, to borrow over a term of 7 to 15 years to finance development projects. During the preparation phase for the launch of the African Cities Development Fund, UCLG Africa should mobilize 2 million Euros, including 1.5 million Euros to be provided by local governments and 0.5 million by central governments; the objective being to mobilize 10 central governments and 30 local governments, each contributing 50,000 Euros. This takeoff fund should be mobilized before the end of 2019. As a starting point, the vehicle should aim to achieve approximately 2 to 3 billion dollars as its first fundraising goal. This should take place quickly (deadline 2020) and should target local governments that have a proven repayment capacity. In this respect, a roadmap was worked out that would: 1. Define the structure of the capital: 2. Define the risk portfolio: 3. Cooperate with existing national tools: 4. Present the benefits of the vehicle: 5. Involve central governments to obtain their non-objection opinion: 6. Produce an information note on the vehicle: 7. Prepare and organize a communication campaign and a road show for the vehicle. The intention is to finalize this roadmap in order to present the African Cities Development Fund as a vehicle of credible funding at the 2018 Africities Summit. 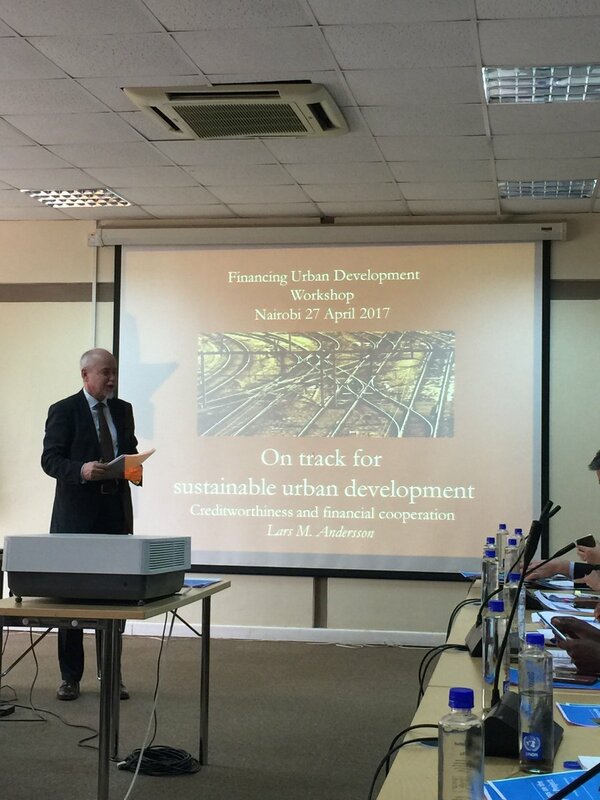 The following is a paper that I wrote for the Financing Urban Development Workshop in Nairobi 27 April 2017. The workshop was organized by UN-Habitat. The urban population has outnumbered the rural since 2007. By 2050, the share of city dwellers is expected to reach 66 percent, but the situation is different in different parts of the world. While Europe and the Americas had an early urbanisation, the process is today rapid in Africa and Asia. According to the World Urbanization Prospects (UN 2014) ”Africa and Asia…are projected to become 56 and 64 per cent urban, respectively, by 2050”. a rapidly increased need for public services and infrastructure investment in big cities. The infrastructure is essential in order for society to function. There is often an urgent need to upgrade systems for transportation of goods and people (commuters). New education facilities are needed, and so on. This produces a pressure to increase investment plans and the necessity to have access to financing. the necessity to provide local services in rural local authorities with less income (from taxes or fees). To be able to, for example, provide for the elderly who do not move to cities in the same extent as young people. Furthermore, they have the challenge of keeping the workforce for the production of the needed public services. The possibilities to produce local public services and to meet future challenges are determined by the local authority’s access to finance. It is a fact that local authorities’ powers to impose taxes, rates, charges and/or fees are in many cases limited in both developed and developing countries. This is in spite of the frequently present rhetoric of decentralisation. Real decentralisation does not happen if the control of local finance is in the hand of the central government. A change is required if cities and other local authorities are to successfully meet future challenges. Efficiency in delivering public services; local authorities are best placed to handle the allocation of public resources locally, simply because they have the knowledge of local needs and local challenges. Democratic accountability; local politicians having the real power of local public services are also subject to direct accountability from the side of the citizens. The accountability of national politicians is often diluted because of the distance to the people in general. Improve citizen participation in matters concerning the society; decentralisation is a way of bringing important political decisions that governs our daily life “closer to the people”. Facilitates efficient and humane integration through greater flexibility and proximity to civil society. Relationship between local authorities and central government, both legally and financially. Flow of income; stability, predictability, diversification, trends (especially of tax-bases), system for collection, collection rates and the possibilities to tap new local taxes. Debt; size, interest payments, maturities, payment record and central government restrictions. Institutional factors; organisation, accounting system, audit, level of knowledge and skills. The local authorities themselves have to, on one hand, show that they are prepared to assume new powers and, on the other hand, in concerted action push central authorities to realise long needed power reforms. What is said above about the questions that decentralisation revolve around are, of course, also crucial when it comes to the question of creditworthiness. Basically, creditworthiness is about having the local authority’s “affairs” in order, which is, to say the least, desirable even when you don’t intend to borrow money from anyone. For this reason creditworthiness could in certain circumstances be renamed to “operational worthiness”. But, what is creditworthiness more precisely? The narrow definition is that the entity in question should be able to repay its debt in time and in full, which is not an unreasonable demand. The road to achieve this runs through sound financial management, including fully functional routines for budgeting, accounting, reporting and auditing. There has also to be a possibility to predict future income, not only from own-source revenues, but also from central government transfers. One area where municipal cooperation has been around for a long time is financial cooperation in order to achieve better conditions for local infrastructure investments. Even though this has a long tradition, over 150 years, the trend is revived in the last 30 years with many new projects recently seeing the light of day. This type of cooperation is often called Pooled Financing Mechanisms (PFM). PFMs do not remove the decision-making power of the individual local authority, and should be viewed as a complement to other funding sources. Large local governments like capital cities and their close peers can continue to benefit from direct access to bank financing and bond markets, choosing the most efficient source at a particular point in time. However, for most medium-sized and small local governments, municipal pooled financing may be the only mechanism that provides access to long-term and adequately priced debt financing. PFMs have mainly been applied in the developed world; in the last 10–15 years, there have been few PFM experiments in developing countries. However, there is nothing preventing PFM from becoming a much more common strategy around the world if the trend towards decentralization in developing countries continues—PFMs are a by-product of fiscal decentralization and the growing importance of local governments. Moreover, PFMs can be proactively initiated and implemented by policy makers in developing countries to deepen fiscal decentralization and increase its benefits. Thus, PFMs can play a crucial role in financing growing local infrastructure needs by giving local governments access to capital markets and by providing institutional investors with a new, attractive and reliable asset class. PFMs also foster participating local governments’ financial management capacity, accountability, and creditworthiness, making them stronger and more capable institutions. Financing infrastructure and building independent capacities in local authorities are particularly crucial concerns in the OECD economies, but even more so in places that are less economically developed. LGFAs have a long and successful history in Northern Europe. The oldest is the Danish agency Kommunekredit created in 1898. The newest additions in the list below are the French Agence France Locale and the UK Municipal Bond Agency, created during the last few years. U.S. municipal bond banks have a slightly different set-up. They are usually closely related to various state governments. The oldest municipal bond banks are in the New England states, but the concept has also spread to other parts of the country. In Canada, there are provincial entities for financing local authorities in a number of provinces, including British Columbia and Alberta. The state-owned Japan Finance Corporation for Municipal Enterprises was converted into Japan Finance Organization for Municipalities (JFM), and in 2008 Japanese local governments became its owners. The New Zealand LGFA was created in 2011 and, recently, the Australian state of Victoria formed its Local Government Funding Vehicle. Also in emerging and developing countries, municipal pooled financing has been developed with the help of international development institutions. Two examples are the Indian Tamil Nadu Urban Infrastructure Financial Services Limited (TNUIFSL) and bond banks in Mexico. TNUIFSL is a public–private partnership with a wider scope of activities than, for example, the European LGFAs, since members of its staff also act as consultants and investment advisors. Mexican bond bank–type entities exist in the states of Hidalgo and Quintana Roo. Transparency; the Agency should be as open as possible with information to the local authorities, and to the financial markets, about the Agency’s activities. Involvement; the local authorities should be made to feel that this is their project, for which every local authority has a responsibility. Match rules governing use of common goods to local needs and conditions. Ensure that those affected by the rules can participate in modifying the rules. Make sure the rule-making rights of community members are respected by outside authorities. Develop a system, carried out by community members, for monitoring members’ behaviour. Use graduated sanctions for rule violators. Provide accessible, low-cost means for dispute resolution. Build responsibility for governing the common resource in nested tiers from the lowest level up to the entire interconnected system. In many cases of cooperation between public sector entities, it is recommended that political decisions be separated from the professional. In the case of a PFM agency, as described above, the political level should be dealing with questions related to overall strategy; questions related to the participating local authorities (capi­tal, guarantees, supervision etc. ); and with the follow-up of the professional level. The duties of the professional level, on the other hand, are to prepare the questions for the political level and to handle all financial activities. This not only se­cures low-risk activities, but also prevents undue influences in the lending activities. Finally, successful cooperation is always build trust and transparency. 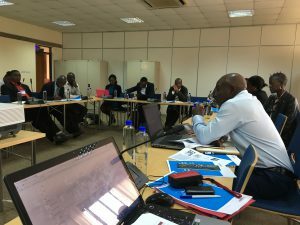 The Swedish organisation International Centre for Local Democracy (ICLD) is together with The United Nations Capital Development Fund (UNCDF) carrying out an Advanced international Training Programme with participators from local authorities in South Africa, Tanzania, Uganda, Zambia and Zimbabwe. This programme includes a two weeks visit to Sweden, which is packed with workshops and study visits. Read UN-Habitat’s press release about the recent workshop in Nairobi here. I was invited to speak about the financing of infrastructure investment, creditworthiness and the basis of cooperation. The other keynote speaker was Mr Hiroaki Suzuki, Urban Development Specialist, formerly with the World Bank. In my speech I went into some detail about the concept of creditworthiness, claiming the it is about much more than being able to finance projects through borrowing. Basically, creditworthiness is about having a financially well-functioning entity, which of course is crucial even when credits are not needed. Another theme was financial cooperation between public sector entities and finally some thoughts about what values, rules and restrictions are needed for good and efficient cooperation. In the latter, I referred to the basic values of cooperatives and the research of Nobel Prize Laureate Elinor Ostrom about successful commons. 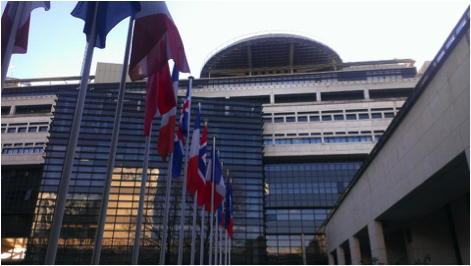 On November 28, an exchange between the Nordic countries and France took place in the premises of the French Ministry of Finance in Bercy, Paris. The initiative to organise this French-Nordic Conference was taken by the Regional Department of Economic Affairs of the French Embassy to Sweden. A number of prominent representatives from both public and private sector shared their views and experiences, including M. Michel Sapin, the French Minster of Economy and Finance, Madame Axelle Lemaire, the French Minister of State for the Digital Sector and Innovation, Mr Olli Rehn, Finnish Minister of Finance, Mr Jakob Wallenberg, Chairman of the Swedish company Investor and many more. ”C’est dans les villes que la bataille du développement durable sera gagnée … ou perdue si nous échouons.” Je voudrais commencer par citer ces mots de Jan Eliasson, Secrétaire général adjoint des Nations Unies. Ils dépeignent le cadre approprié visant à fournir aux autorités locales – et notamment aux communes – les outils nécessaires pour gagner cette bataille. Je vais vous parler d’un cas exceptionnel de coopération franco suédoise, montrant comment les autorités locales nordiques ont inspiré leurs homologues françaises dans l’action. D’abord un coup d’œil rétrospectif. Il n’y avait que très peu de concurrence entre les banques pour les crédits aux collectivités locales. Les marges élevées ne pouvaient en aucun cas être justifiées par la situation financière des villes suédoises. En plus, c’était l’époque où les collectivités locales commençaient à ressentir la pression pour réduire leurs coûts tout en maintenant des niveaux significatifs d’investissements dans les infrastructures publiques. Les collectivités locales françaises avaient expérimenté une longue période de rétrécissement du crédit, en particulier après les crises financières de 2008-09. En plus, c’était une époque où les investissements dans les infrastructures publiques locales françaises comptaient déjà pour plus de 70 pour cent du total des investissements publics du pays. Dans les deux cas, les autorités locales se sont réunies et ont discuté ce qu’il fallait faire. La situation était grave, à la fois pour la croissance locale et nationale. Le résultat de ces discussions fut: Unissons-nous! Travaillons ensemble! Dans le cas de la Suède, l’agence de financement des collectivités locales, Kommuninvest, fut formée en 1986. Immédiatement nous avons réussi à réduire les marges des crédits municipaux par plus de 2 points de pourcentage. Aujourd’hui, plus de 90 pour cent de toutes les autorités locales sont membres de Kommuninvest. Et, l’agence s’est vue attribuer la meilleure notation de S&P et Moody’s. Kommuninvest a, dans un marché libre, sauvé des milliards de couronnes pour les collectivités locales suédoises. Lorsqu’on constata le besoin de restructurer les moyens de financement des collectivités locales françaises, je fus honoré d’être parmi les conseillers et d’avoir été en mesure de montrer comment nous, en Suède, avions surmonté les défis dans la création, la gouvernance et la gestion de l’agence. Cela fut, bien entendu, ensuite adapté à l’environnement juridique et politique français. Ce processus là conduisit à la création de l’Agence France Locale en 2013. Aujourd’hui, près de 200 collectivités locales en sont les propriétaires. Parmi eux se trouvent presque toutes les grandes villes et agglomérations françaises. L’adhésion est en constante augmentation. Quels sont les défis des collectivités locales et quelles sont les possibilités des agences de financement de faire partie de leur solution ? Le titre de cette table ronde est « Vers une ville plus verte, durable et inclusive », ce qui bien sûr se réfère à la question du changement climatique. Mais il réfère également à un développement durable social, y compris l’intégration des migrants et la lutte contre la fracture sociale qui existe déjà en France et en Suède. Une condition préalable à la lutte contre les défis de l’avenir c’est la croissance économique. De plus en plus, nous nous rendons compte que l’austérité n’est pas la bonne route vers plus d’activités économiques. De plus en plus les investissements dans l’infrastructure sont d’une importance cruciale. En France et en Suède, bien plus de 50 pour cent de ces investissements publics sont effectués par des collectivités locales. Cela signifie, selon moi, que les investissements locaux réalisés par les collectivités locales ne peuvent pas être exclus du débat sur la façon d’augmenter la croissance nécessaire. Ces investissements, sont précisément ceux qui sont financés par l’Agence France Locale et Kommuninvest. Par conséquent, il est très important que les collectivités locales aient les meilleures conditions possibles pour coopérer au sein de ces entités. Les agences ne sont pas des banques comme les autres, elles sont d’abord des outils pour les collectivités locales et également pour l’État central. Il n’est pas difficile d’arriver à la conclusion que la coopération est le seul moyen de relever les défis de l’avenir. Les agences des collectivités locales, comme Kommuninvest et l’Agence France Locale, peuvent jouer un rôle important, dans des conditions appropriées. Cela peut aussi inciter à d’autres projets de coopération, ce qui est crucial pour le développement de notre société. ”Cities are where the battle for sustainable development will be won – or lost if we fail”. I would like to begin by quoting these words of the UN Deputy Secretary General Jan Eliasson. They depict the appropriate framework for providing local authorities – including municipalities – with the necessary tools to win this battle. 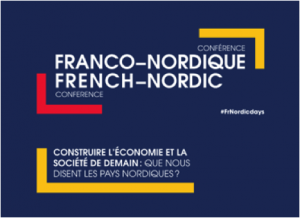 I will speak about an exceptional case of Swedish/French cooperation, and about how the Nordic local authorities ended up inspiring their French peers to action. There was hardly any competition between banks for local authority credits. The high margins could not by any means be justified by the financial situation in Swedish towns and cities. And this at a time when local authorities began feeling the pressure to reduce costs while still maintaining the levels of infrastructure investments. The French local authorities had experiences a long period of credit crunch, especially after the financial crises in 2008-09. And this was at a time when French local authorities’ infrastructure investments counted for more then 70 percent of total French public investments. In both these cases local authorities came together and discussed what to do. It was a serious situation both for local and national growth. The result of these talks was: Let’s join forces! Let’s work together! 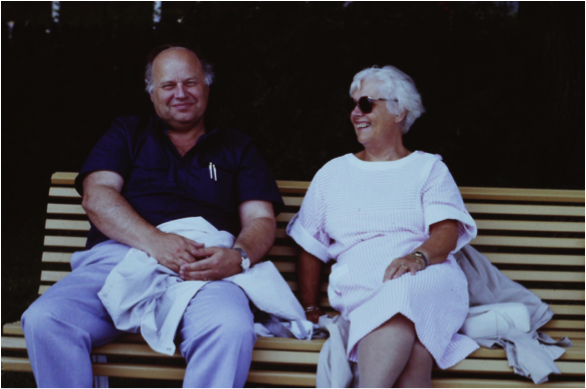 In the Swedish case, the local government funding agency, Kommuninvest, was formed in 1986 and immediately we managed to lower the margins on municipal credits by more then 2 percentage points. Today more then 90 percent of all local authorities are members of Kommuninvest. And the agency is awarded the best credit rating by S6P and Moody’s. Kommuninvest has, in an open market, saved billions for the Swedish local government sector. When the need in France to restructure the way local authorities were getting credits for local investment occurred, I was honoured to be among the advisors and to be able to show how we solved challenges in the creation, governance and management of the agency in Sweden. This was of course then processed in the French legal and political environment. This led to the creation of Agence France Locale in 2013. Today close to 200 regional and local authorities are the owners. Among them are almost all the major French cities and agglomerations. And, the number increases steadily. 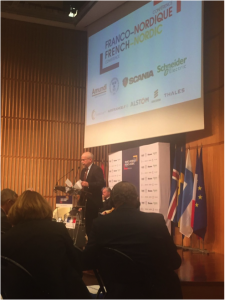 What are the challenges of local authorities in France and Sweden and what possibilities have the municipal agencies to be a part of the solution? The head-line for this round-table is Towards a more sustainable and inclusive city, which of course refers to the question of climate change. But it also points to a social sustainable development including integrating migrants to our society and fight the social divide that already exists both in France and Sweden. A prerequisite for fighting the challenges of the future is economical growth. More and more have we come to realise that austerity is not the road to more economical activities in our societies. More and more are the infrastructure investments seen as of crucial importance. In both France and Sweden more than 50 percent of these public investments are significantly carried out by regional and local authorities. This means that, according to my opinion, local investments done by local authorities can not be omitted in the debate on how to increase the necessary growth to be able to tackle the challenges of our society. It is exactly these investments that are financed by Agence France Locale and Kommuninvest. Therefore it is of the outmost interest that local authorities are given the best possible conditions to cooperate within these entities. These agencies are not banks like the others, they are primarily tools for local authorities and also for the central government. It is not difficult to come to the conclusion that cooperation is the only way to meet the challenges of the future. The municipal owned agencies, like Kommuninvest and Agence France Locale, can play a significant role if given the proper conditions. This can also inspire to other cooperation project crucial to the development of our society. How come I became engaged in questions concerning local finance? Let us turn the clock back to 1975. After graduating from university I got a job in a small local authority in Sweden as the head of finance. My responsibility was, besides budgeting, accounting, reporting, also to keep contact with local private companies, deal with questions of municipal housing and, of course, the debt management. A broad field of responsibilities in a small municipality, and a perfect occasion to learn the nuts and bolts of local public administration. After some years I moved to a regional centre to become the finance director there. This was at the time (the early 1980s) when the money market evolved rapidly in Sweden. I used this market to invest the city’s liquidity surplus and from time to time borrow short term. But of course for all cities with investment programmes long-term borrowing is the main interest. I struggled to negotiate reasonable interest rate, but I soon found out that the banks were not really interested in competing with each other. It dawned on me that I was in front of something akin to an oligopoly, where all banks offered a similarly high interest rates. The high rates did not at all reflect on the good creditworthiness of Swedish local authorities. One morning in January 1986, while commuting by train, I started to write a business plan outlining how local authorities could take the matter into their own hands. The idea was a cooperation scheme where local government would pool their borrowing through a vehicle of their own. It took maybe three weeks to complete a draft of the plan, writing every morning and evening on the train. It was one day finally ready to be presented to the local politicians. 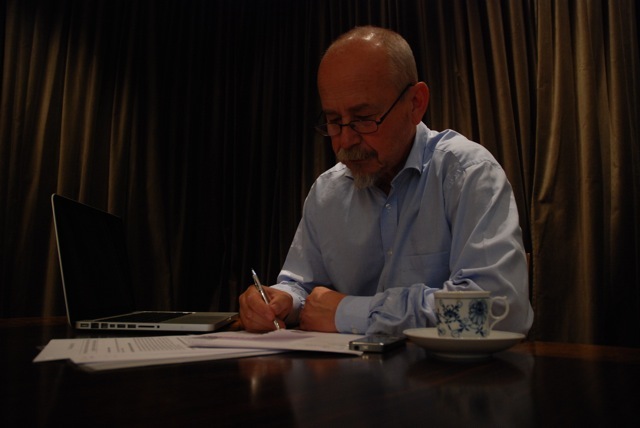 Within a year after this moment the agency of Kommuninvest was created. I was appointed to be its first CEO and remained in this position for fifteen years, until 2001. The agency was established as a regional entity owned by the local authorities in the region of Örebro, located in the middle of the country, west of the capital Stockholm. We did not have to wait long until local governments from other parts of Sweden knocked on our door and asked to join, but the real expansion of the activities of the agency came in 1992 when Sweden was hit by a financial crisis. This crisis led most local authorities to substantial problems financing their investments, but the authorities in Kommuninvest could use their collective power. It was decided, at this point, to rearrange Kommuninvest into a national agency were all Swedish local authorities could seek membership if they met the criteria of creditworthiness. This short narrative might suggest that the step from idea to reality was easy. The reality was far from it. Several obstacles had to be negotiated during the build-up phase. As expected, the banks fought us with every weapon they could find. The agency was, after all, risking destroying their lucrative municipal loan market. Later on we got to know that the banks even held meetings where they all were present and the agenda was: how can we put an end to the new agency? Another problem was the bewilderment of the civil servants at the finance supervisory authority and the Swedish Ministry of Finance. They had never heard of anything like this, and it disturbed their notions of how things ‘were normally done’. My suspicions is also that the initial hostility from the civil servants also arouse from the preconceived notion that local authorities could not be trusted with anything as serious as this. It took us three years and lots of hard work and negotiations to get the legal status we needed to work properly. This decision was taken by the Minister of Finance against the advice of several senior civil servants. The final challenge, and this was the most fun part, was to put together all the different routines, develop the organisation, recruit members, present the agency to investors and so on. In other words, we had to develop all things that are necessary to get the agency to work in an efficient way. After a few years we found out that similar agencies existed for a long time in Norway and Denmark, and we started to cooperate to learn from each other. When the Finnish agency that was created in 1990 they also joined this cooperation. Today, Kommuninvest is the market leader for municipal credits in Sweden. More than 90 percent of all regional and local authorities are members of the agency. Total lending has, in the last interim report (June 2016) reached 269 billion Swedish kronor corresponding to 41 billion US-dollars. Kommuninvest’s funding is carried out worldwide, backed with AAA credit ratings from both S&P and Moody’s. During my time as the CEO of Kommuninvest I was often invited to give speeches at locations in many parts of the world. 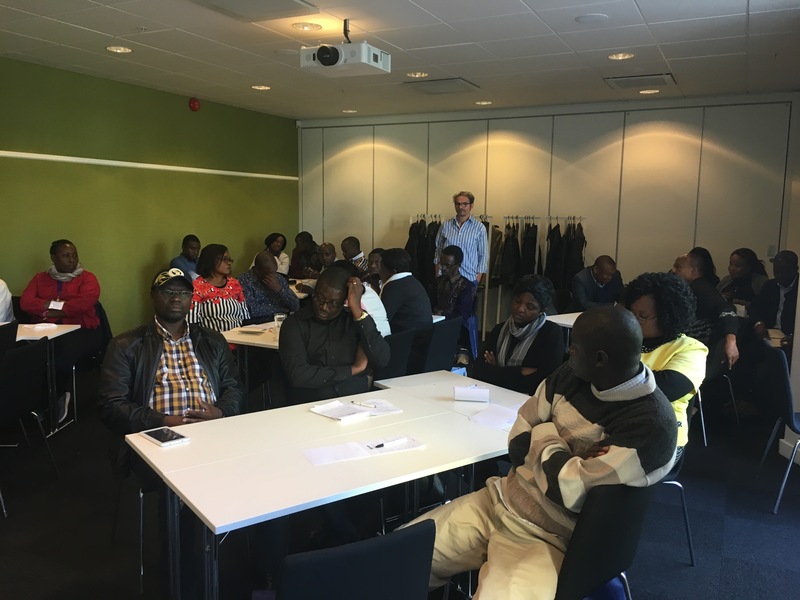 After I left the agency I have continued to work with questions related to local authority finance and management both in Sweden and internationally. I have been advising both central and local government in a number of countries and it seems like there now is a massive interest for financial cooperation between local authorities in many countries. Lars M Andersson is a member of the Supervisory Board of Agence France Locale and Chair of the Strategy Committee within the agency’s board. He is also a member of the board of Fonds mondial pour le développement des villes (FMDV, Global Fund for Cities Development) as well as advisor to the English Local Government Association (LGA) in a project with the aim of creating a Municipal Bond Agency. Local authorities around the world face considerable problems financing services and infrastructure projects. States are cutting grants and it is hard to access cost-efficient funding through the commercial banks. One decentralised alternative is a model in which the local authorities join their forces to raise capital in the international markets. These Local Government Funding Agencies (LGFA), also known as ‘Local Government Collective Agency’ or ’Municipal Bond Bank’, have proved effective in a number of countries, and the idea is spreading. 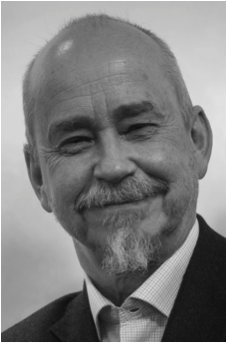 Lars M. Andersson is a pioneer in the area of LGFA, with over 30 years of experience in the field. 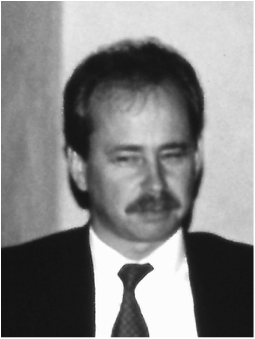 He initiated and became the first President of Kommuninvest – the Swedish Local Government Funding Agency in 1986. He is a frequently sought after advisor in a number of countries in questions of local finance and the LGFA model. Les collectivités locales du monde entier sont confrontées à d’énormes problèmes de financement des services et des projets d'infrastructure. Les États réduisent leurs subventions et il est difficile d'accéder à des financements rentables par le biais des banques commerciales. Une alternative décentralisée existe néanmoins ; il s’agit d’un modèle dans lequel les collectivités locales unissent leurs forces pour lever des capitaux sur les marchés internationaux. Ces agences de financement des collectivités locales (AFCL), aussi connues comme « organismes de financement municipaux » ou « banques d’obligations municipales », se sont révélées efficaces dans un certain nombre de pays, et l'idée se propage. Lars M. Andersson est un pionnier en matière d’AFCL, avec plus de 30 années d'expérience dans ce domaine. En 1986, il a créé le Kommuninvest — l'Agence suédoise de financement des collectivités locales —, dont il est devenu le premier président. Il est fréquemment sollicité dans un grand nombre de pays pour ses talents de conseiller en matière de finances locales, et au sujet du modèle AFCL. Las autoridades legales de todo del mundo afrontan serios problemas para financiar servicios y proyectos de infraestructura. Los estados estan reduciendo subvenciones y es difícil acceder a financiamiento costo-eficiente a través de los bancos mercantiles. Una alternativa descentralizada es un modelo en el cual las autoridades locales unen sus fuerzas para recaudar capital en los mercados internacionales. Estas Agencias de Financiamiento del Gobierno Local (AFGL), también conocidas como 'Agencias Colectivas del Gobierno Local' o 'Bancos de Bonos Municipales', han comprobado ser efectivas en varios países y la idea se propaga. Lars M. Andersson es un pionero en el área de las AFGL, con más de 30 años de experiencia en el tema. Él fundó y fue el primer Presidente de Kommuninvest—la Agencia Sueca de Financiamiento del Gobierno Local, en 1986. Es un consultor internacionalmente solicitado en los temas de financiamiento local y el modelo AFGL. Proudly powered by WordPress &middot; Theme: Pilcrow by Automattic.